WooHoo!!! 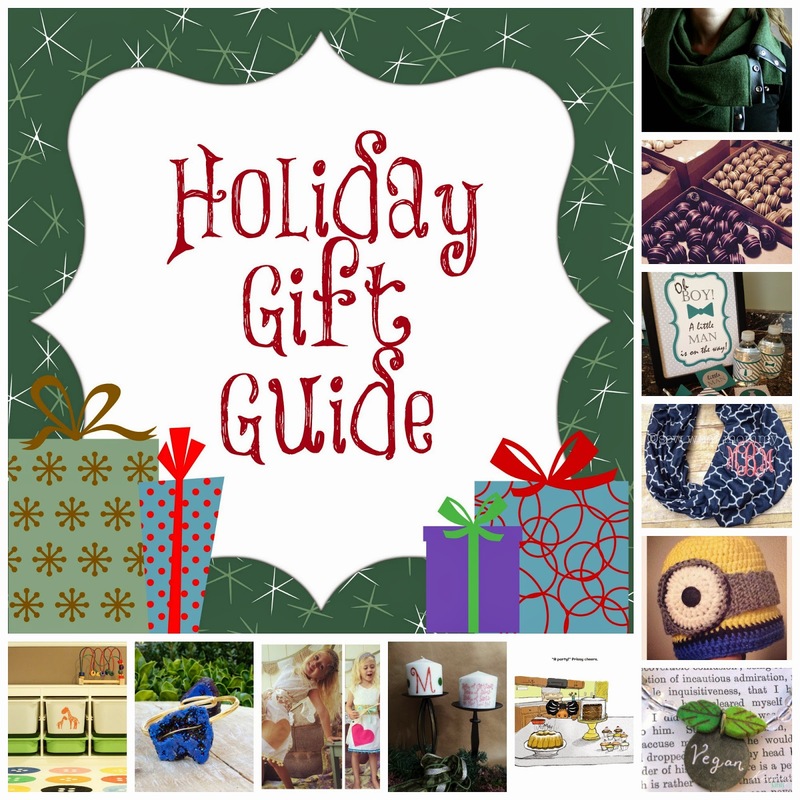 Another holiday gift guide!!! Now, hold on a minute, this gift guide is a little different. In this gift guide you will not find big box store items or the 20 best unnecessary toys for your kids. Instead, you will find...unique, handmade items...small businesses...many are mommy businesses. Wonderful, personalized gift giving items that you will not find out on the shelves of your local shopping center. These little shops are a great opportunity to give a gift that will knock their socks off!!! So, grab a cup of coffee, kick your feet up and take a few minutes to discover some amazing new gift items. Where can you get super trendy gifts, accessories, mommy and children's clothing??? And....personalized??? Sew What Mommy!! 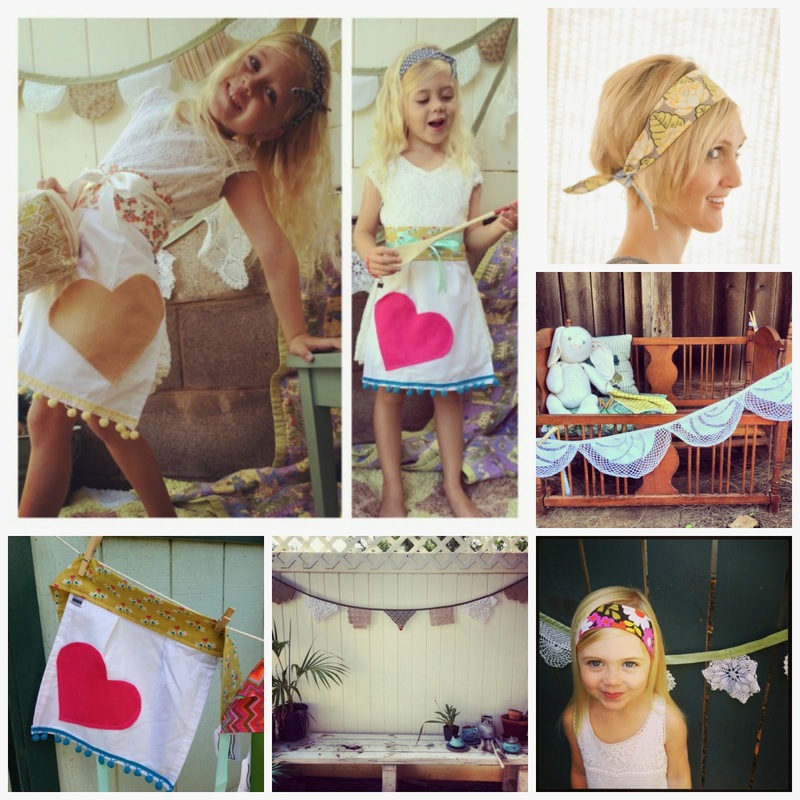 Sew What Mommy was formed by two best friend mommies, Amy Snyder and Jennifer Holby, after the birth of their daughters. They loved the look of the adorable boutique clothing available, but not the price. After perfecting their sewing and embroidery techniques to create their own one of a kind outfits for their little ones, friends definitely took notice and encouraged these two mommies to start their own business. 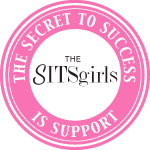 Jenn and Amy now run one of the most well known home businesses in their local area. 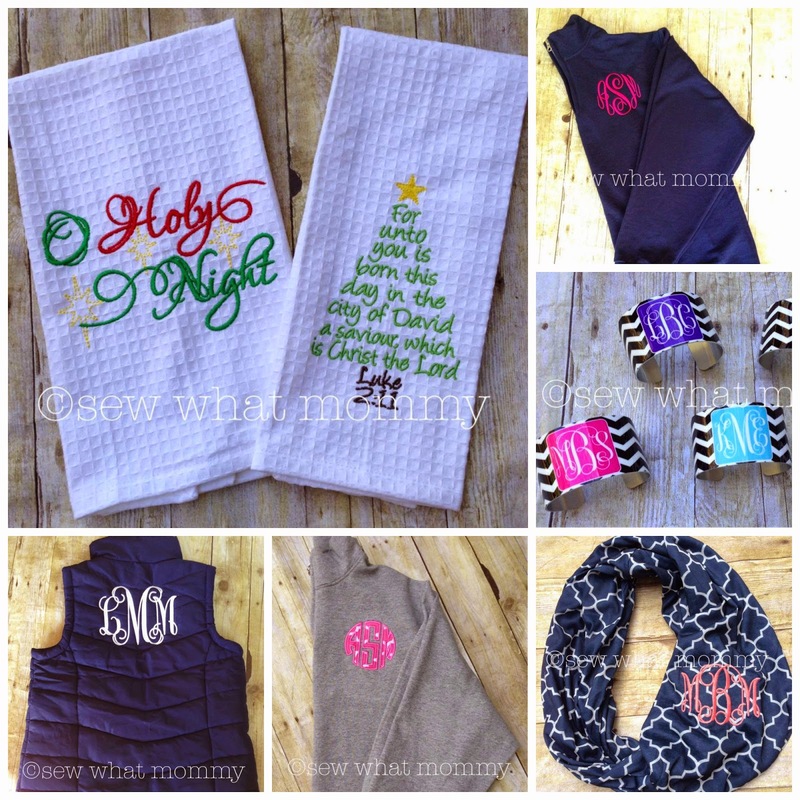 Sew What Mommy is focused on delivering top quality, unique items with amazing customer service. And, I can personally attest to this....Not only do I blog about Sew What Mommy, I'm also a customer! Every single item I have ever purchased from Jenn and Amy has drawn compliments everywhere I go! Look for Sew What Mommy on Facebook and check out all of the embroidery, applique and a variety of clothing options. There's always something new! 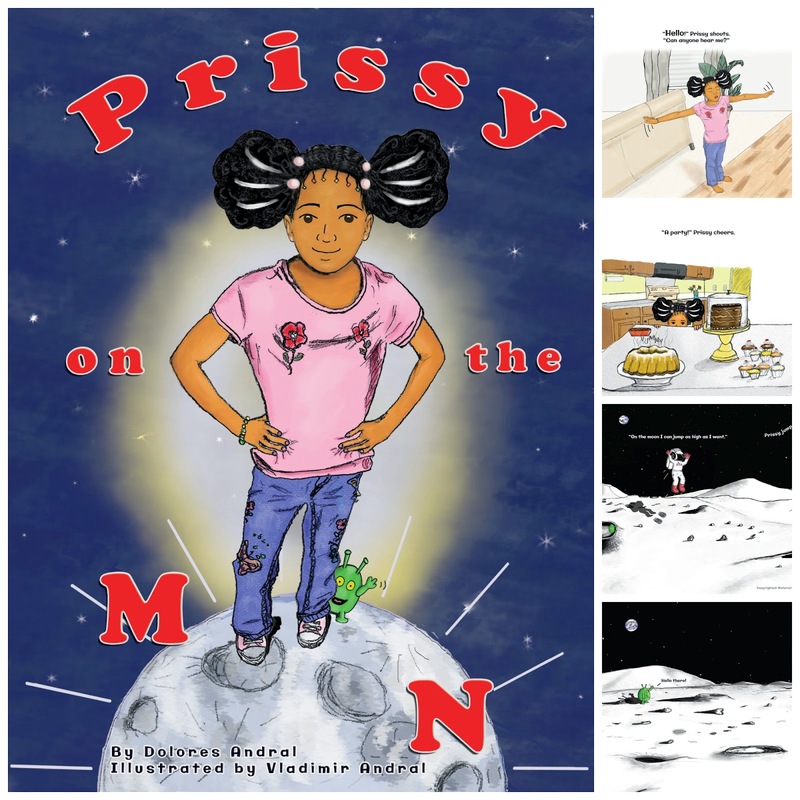 Prissy On The Moon, written and illustrated by Dolores and Vladimir Andral, is a story about a little girl who uses her imagination to soar to the moon! However, reality collides with imagination when she uses her “moon" voice indoors, jumps on the furniture, and crashes into her mama as she flies through the house on her spaceship! When she finds out about a party that will include fun, family, and food, she has to make the decision of whether she really wants to relocate to outer space, or maybe compromise so she can enjoy a bit of both worlds. In the author's own words, "Prissy On The Moon started out more like a joke in our house. When my oldest daughter was a toddler she was very loud, so I'd always say, "You're not on the moon." Or if the kids got too loud, I'd say, "You can do whatever you want on the moon, but in this house..." In fact, we didn't need to use the words be quiet, it was always, "You're not on the moon." I always told the kids I would write a story about it, and that's how Prissy came about. I have about 9 "Prissy" stories. The kids would ask me to read the stories so we'd sit around and have "Prissy Parties." I would give the kids hot apple cider and whip cream and would read to them. And my husband came to draw Prissy because I was so terrible at it. He wanted to prove to me how bad my version was, which he succeeded in doing by illustrating a page so well, he found himself on the hook." I love this and the fact that there are more "Prissy" stories to come! The perfect gift for your little ones with big imaginations! You can find Prissy on Amazon and at Go On, Be Prissy! Also look for Prissy World on Facebook. Sillie Lillie Events and Prints is the party planning and print passion of Shellie Tedford. Shellie creates custom party prints and decorations so each event is unique. In her own words, Shellie expresses how she feels about her home business, "It brings me so much joy! 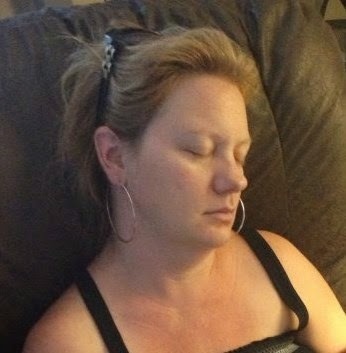 I do mommy things and wifey things - and this is my "Shellie thing"! 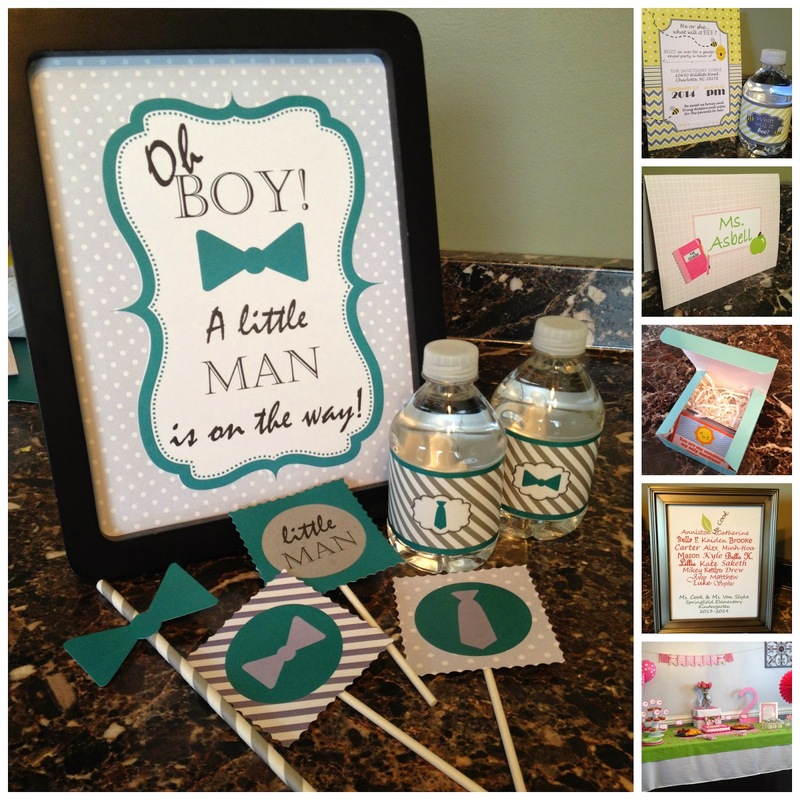 Sillie Lillie specializes in invitations, notecards, banners, framed prints and party decorations. There are also many items that are perfect for teachers, friends and those "hard to buy for" family members. Basically, just a whole mess of cuteness for everyone!!! Sillie Lillie is based in the Charlotte, NC area so if you are local and in need of a party planner - look no further! Not local?? No worries - Shellie can create the perfect party package and ship to anywhere in the U.S.! You can find Sillie Lillie on Facebook at https://www.facebook.com/sillielillieeventsandprints and at http://www.sillielillie.com/ Let's Party!! Looking for unique woolen and knit items? Well, look no further! Welcome to Cozy Cape Cottage! Cozy Cape Cottage was started in 2012 when some of Kim Frer's mommy friends took an interest in some of her handknits. Kim creates many beautiful items, such as toddler gloves, baby booties, slipper socks and gorgeous snap scarves. The name of her business was inspired by her own home - a cape cod style house. She liked the correlation of cozy, homey and knitted items and warmth - thus "Cozy Cape Cottage" Kim loves to create beautiful items for others and in her own words, "I just love making things that hopefully people will love. My shop has given me the ability to keep branching out and try new things." 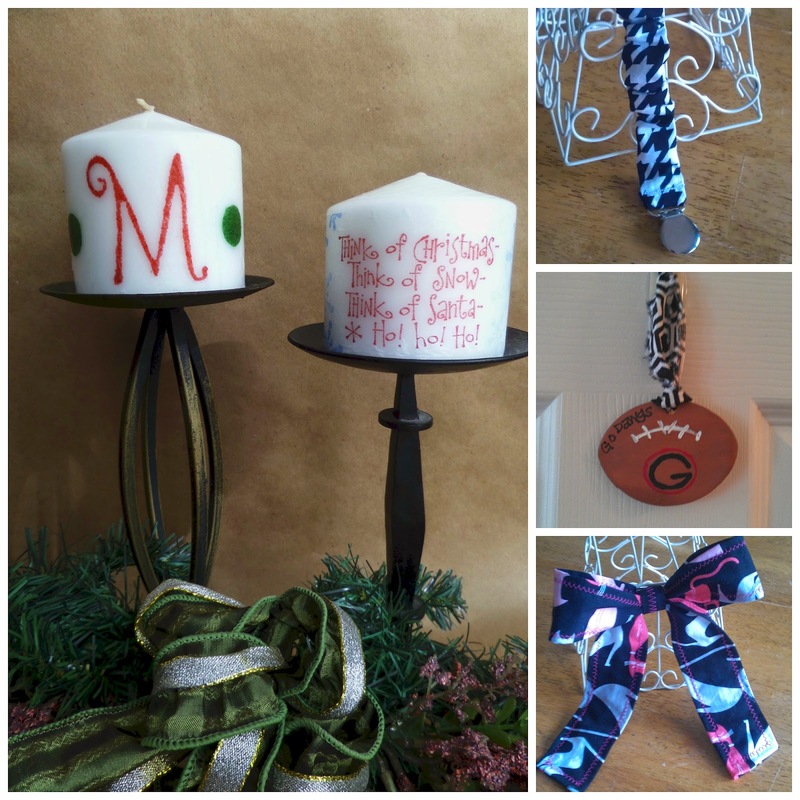 Check out all of the handmade offerings at Cozy Cape Cottage! Have a book lover on your list? Check out these adorable handcrafted bookmarks from Keepings! Ribbon, charms and even pop culture references. A perfect gift for anyone! Keepings was founded in Australia by Kirsty. 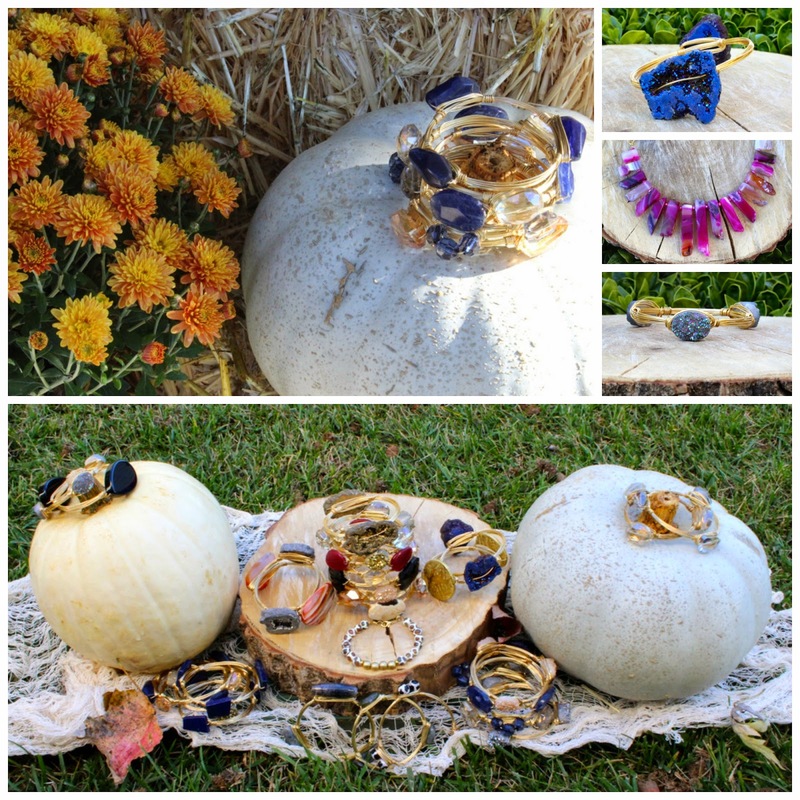 Kirsty was inspired by all of the boutique and trinket shops close to home and loves creating and making jewelry, especially with metal and velvet. She has also drawn inspiration from her two younger sisters. This inspiration led to the creation of "keepings" for the kids or kids at heart with characters from Adventure Time and Harry Potter. You can find Kirsty's handcrafted bookmarks and jewelry at Keepings on Etsy. Decals, diaper stackers and more! Bobee, Inc., founded by Stacy Harfert, offers an adorable line-up of removable decals. These great decals can be used on virtually any smooth surface...mirrors, car windows, walls, etc. The options are endless! Bobee Inc. also has an amazing diaper stacker/wipe organizer that would be the perfect complement to any nursery. Each diaper stacker/wipe organizer also comes with a packet of polka dot decals in various colors to complement any nursery decor. A wonderful gift for any expectant or new parent. Check out the diaper stacker at http://www.bobeeinc.com/ and all of the adorable decals Bobee, Inc. has to offer on Facebook. Carolina Chocolate Company was started in the Carolinas by three friends who share a passion for chocolate. And, as everyone knows...you can never go wrong with chocolate!! From their signature barks to bars to covered cookie sandwiches, every offering is completely delish! Chef Harold's chocolate concoctions are the perfect add on gift or stocking stuffer. Or go big and Alicia, mommy and marketing director, will help you create a custom chocolate gift basket. Check out Carolina Chocolate Company on Facebook and at http://www.carolinachocolatecompany.com/ Portions of all proceeds will go to an organization in the Carolinas serving abandoned, neglected and abused children. Love all of these adorable crochet, scarves and goodies from Anni Schenk, Grapefruit Princess! 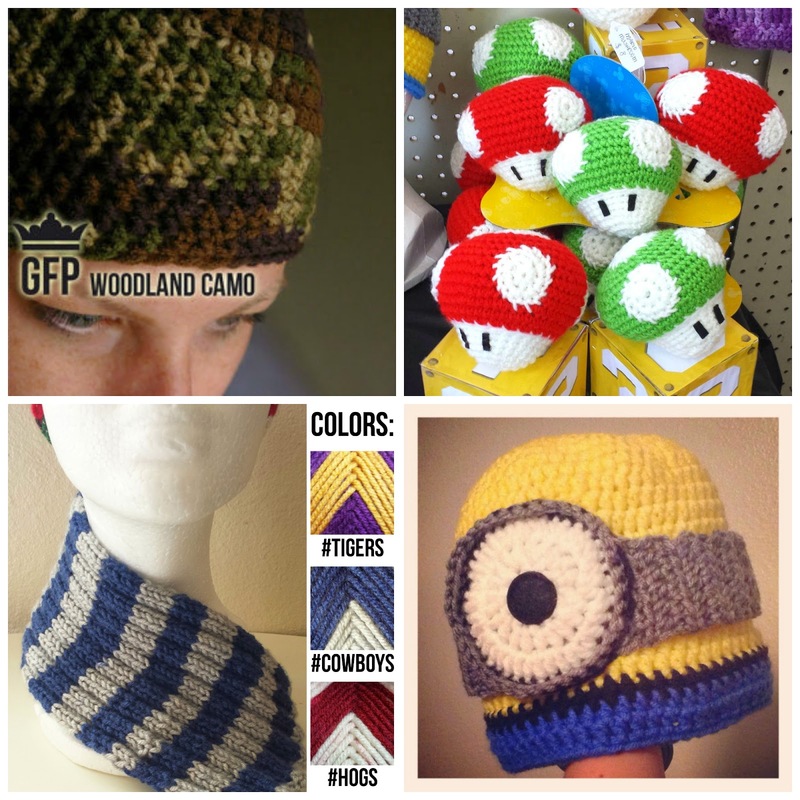 From camo to team colors to Amigurumi....there is something for everyone! What little kiddo wouldn't love to sport a fun "Minion" cap this winter? Perfect for stocking stuffers. Check out all Grapefruit Princess has to offer at Etsy. Caution!! Shameless plug up ahead!! Yep, I'm throwing my hat into the ring...Welcome to Suzi Bee's! I started Suzi Bee's when I was pregnant with my 3rd child and have dabbled a bit with selling my items over the past year. I love to craft and create, it's my happy place. I especially love creating unique items for others to enjoy. At Suzi Bee's, you can find everything from baby items to hair bows and custom candles to personalized ornaments, all at reasonable prices. Check out Suzi Bee's on Facebook and SuziBees at Etsy. I hope you enjoyed checking out all of these wonderful shops! When you get ready to do your shopping, take a peek at all of these creative and unique gift items and support these up and coming small businesses. Happy Holidays!! !